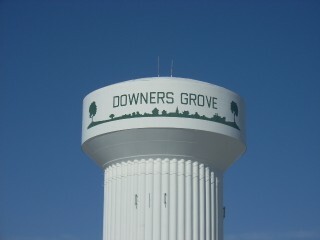 Downers Grove is located approximately 22 miles southwest of the Chicago "Loop" in suburban DuPage County. As of the 2000 census, the village had a total population of 48,724. A 2003 population estimate for Downers Grove saw the population rise to 48,869. The village is bordered by Lombard to the north, Oakbrook, & Westmont to the east, Darien to the east and south, and Woodridge & Lisle to the west. Downers Grove offers a unique collection of homes that range from over 100 years of age,to homes of each generation. The last large scale housing developments ended in the 1980s, As of recently Downers Grove had one of the highest teardown/new construction rates in DuPage County, with small older homes demolished and replaced with much larger new houses. Citywide Services provides residential appraisal service in Downers Grove, Illinois 60515, 60516, 60517. Our appraisers are state certified and have experience with single family homes, town houses, condominiums as well as small residential income properties. Appraisals for divorce, estate, bankruptcy, tax appeal, bail bonds, for sale by owner. When you need to find an appraiser in Dupage County contact Citywide.